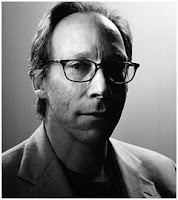 Rationally Speaking: Krauss does it again, so soon! Krauss does it again, so soon! I had taken physicist Lawrence Krauss to task for his intemperate (and badly informed) remarks about philosophy just a few months ago. Krauss — apparently prompted by Dan Dennett — issued a non-apology of sorts in Scientific American shortly thereafter, thereby showing he had learned precious little from what should have been an embarrassing incident. Now he has done it again, this time in a debate with philosopher Julian Baggini published by The Guardian. I think Baggini went a bit too easy on Krauss, but the reason I’d like to comment on the specifics of the debate (other than the self-indulgent one of poking a bit more fun at Krauss, who is a big guy and can take it) is that I think we can learn something of general import from these ongoing skirmishes between philosophers and scientists. Krauss, predictably, will have none of it, categorically stating that as far as he is concerned, it’s all “merely distinguishing between questions that are answerable and those that aren’t. To first approximation, all the answerable ones end up moving into the domain of empirical knowledge, aka science.” Krauss is clearly wrong here, and he ought to know it. Despite some scientists’ tendency to consider logic and math as “sciences” (they aren’t, by any sensible definition of science — indeed, logic is clearly a branch of philosophy), the answer to neither logical nor mathematical questions hinges on empirical knowledge, so we have at least two clear (and ample) examples of Baggini’s basic contention that not all questions admit of scientific answers. Krauss continues: “Without some knowledge of the consequences of actions, which must be based on empirical evidence, then I think ‘reason’ alone is impotent.” Well, yes, but I don’t know any philosopher who would claim otherwise. Let’s say you are a consequentialist when it comes to moral decision making. You do rely on empirical evidence (broadly construed, more on this later) to make specific decisions, because after all you care about the likely consequences of your actions, so you need some way to estimate what such consequences might be. But the prior decision to adopt a consequentialist stance in ethics is not the result of “facts,” it derives from your philosophical reflections on what ethical judgments are and how best to carry them out. You need to read Mill, not Einstein. But of course Krauss has drunk the Harris cool-aid in full: “Ultimately, I think our understanding of neurobiology and evolutionary biology and psychology will reduce our understanding of morality to some well-defined biological constructs.” He, like Harris before, confuses an understanding of the mechanisms of X with the epistemic status (true, not true, undecidable, etc.) of X. To see the point simply, imagine if a neuroscientist told you that he wanted to scan your brain while you were trying to demonstrate the Pythagorean theorem. Said neuroscientist would be able to tell you all sorts of fascinating biological facts about which parts of your brain were involved in the task, how much of each neuropeptide you were using while carrying it out, etc. What he would have absolutely nothing to say about is whether you got the proof right. You’d need a mathematician for that. Baggini makes a similar point very nicely and reasonably: “No factual discovery could ever settle a question of right or wrong. But that does not mean that moral questions are empty questions or pseudo-questions. We can think better about them and can even have more informed debates by learning new facts. What we conclude about animal ethics, for example, has changed as we have learned more about non-human cognition.” Yup, exactly: science can (and should) inform moral thinking, but it doesn’t determine it. He continues to give a basic lesson in philosophical reasoning to Krauss: “What is disparagingly called scientism insists that, if a question isn’t amenable to scientific solution, it is not a serious question at all.” And that is one of the best definitions of scientism available. That there are questions that are not answerable scientifically and yet are perfectly meaningful should be clear to anyone who considers ethics, logic or mathematics, among other things. Krauss comes close to acknowledging the point, and then manages to screw up again, all in one sentence: “I do think philosophical discussions can inform decision-making in many important ways, by allowing reflections on facts, but that ultimately the only source of facts is via empirical exploration.” The part after the “but” is either not true or tautological. Depending on what you mean by “facts” it may not be true: do mathematical theorems count as facts? If so, they do not require empirical exploration to be determined true or false. If we stick to straightforward empirical facts, of course their only source is, well, empirical! But we are talking about knowledge and understanding, for which facts are a necessary but not sufficient condition. Krauss then proceeds to gleefully engage in more logical fallacies, chiefly the naturalistic one (deriving an ought from an is), a favorite of Harris too: “Take homosexuality, for example. Iron age scriptures might argue that homosexuality is ‘wrong,’ but scientific discoveries about the frequency of homosexual behaviour in a variety of species tell us that it is completely natural in a rather fixed fraction of populations and that it has no apparent negative evolutionary impacts. This surely tells us that it is biologically based, not harmful and not innately ‘wrong.’” First off, scriptures don’t “argue,” they simply lay down the (allegedly divine) law, without argument (the chief difference between religion and philosophy). Second, and most importantly, so what if it had turned out that homosexuality wasn’t “natural”? Would it follow that it is wrong? Vaccinating your kids is not natural, but surely it is the right thing to do. Conversely, the tendency for human beings to settle disputes by violence is natural, but most of us would agree that it is the wrong way to go about it. There simply is no logical connection between something being natural/unnatural and the same thing being right/wrong, just as Hume had warned (did Krauss read Hume? I doubt it). Baggini, incidentally, points out the same to Krauss, though in a more restrained fashion. Kudos for his patience. His example is Kepler’s quest for “why” there are six planets in the solar system (according to the best astronomical knowledge of the time). Kepler thought he got the answer when he realized that there are only five Platonic solids (the faces of which are composed by regular polygons). Each Platonic solid can be circumscribed by a sphere, and if such spheres separate the orbits of the planets, then there can be only six planets. Kepler, as we know, was wrong on the number of planets and on his proposed explanation, but astronomers made progress when they turned his “why” into a “how” and figured out that the answer was to be found into Newton’s laws of mechanics. The history of science aspect of Krauss' story is likely a bit simplistic, but of course nobody would object to his account of “why” vs “how” in science. However, Baggini immediately points out that why questions come to the forefront whenever we consider agency: “if we want to know why someone made a sacrifice for a person close to them, a purely neurological answer would not be a complete one. The full truth would require saying that there was a ‘why’ at work.” Indeed. Now, I don’t want to get into yet another debate about free will, because people simply tend to talk at cross-purposes in that context. At the very least we can agree that — epistemically speaking — we need to deploy high level cognitive concepts like motivations, reasons, etc. to make sense of human behavior. Which means that “why” questions are very much alive and well, thank you very much. At any rate, even if one were to concede to Krauss that in some broad sense everything comes down to “how” things work, all the above considerations about the insufficiency (and sometimes irrelevance) of empirical facts to settle certain questions still hold, and philosophy gets to live another day. But Krauss isn’t going to be happy with this, he really wants to push his scientism to its logical endpoint, thus insisting: “Certainly, we already understand many aspects of sacrifice in terms of evolutionary biology. Sacrifice is, in many cases, good for survival of a group or kin. It makes evolutionary sense for some people, in this case to act altruistically, if propagation of genes is driving action in a basic sense.” This pop evolutionary account confuses the origin of a behavior (say, the evolution of an altruistic instinct to protect one’s progeny) with the kind of moral reasoning that is of interest to modern human beings in complex societies. To return to the example of math from above, it would be like saying that evolution explains our ability to solve, say, Fermat’s last theorem because it was adaptive to be able to count a few items in the Pleistocene’s savannah. The latter is likely true, but the former doesn’t follow at all. Premise 1: Empirical evidence is the province of science (and only science). Premise 2: All meaningful / answerable questions are by nature empirical. Premise 3: Philosophy does not deal with empirical questions. Conclusion: Therefore, science is the only activity that provides meaningful / answerable questions. Now, P2 is awfully close to the philosophical (!!) position known as logical positivism (in the US, logical empiricism), which has been demolished by the likes of Quine, Putnam, Kuhn and others. I have argued above that there are plenty of questions whose nature is not empirical, or not wholly empirical, and yet are meaningful. P3 can be interpreted in more than one way: yes, philosophy isn’t in the business of answering empirical questions (just like math and logic), but it is a caricature of the field to claim that empirical facts are irrelevant to philosophical considerations, and no sane philosopher would defend such claim. This would already be enough to show that both the Conclusion and the Corollary are false, and we could go home with the satisfaction of a job well done. But I want to add something about P1. This appears to be a widespread assumption among scientists, recall for instance Jerry Coyne’s argument that plumbing is a science because it deals with empirical evidence, which plumbers use to evaluate alternative “hypotheses” concerning the causal mechanism of your toilette’s clog. But there is a fallacy of equivocation at work here, as the word “science” should be used in one of two possible meanings, but not both: either Krauss, Coyne et al. mean that (a) science is any human activity that uses facts to reach conclusions; or they mean that (b) science is a particular type of social activity, historically developed, and characterized by things like peer review, granting agencies, complex instrumentation, sophisticated analytical tools etc. (b) is what most people — including most scientists — mean when they use the word “science,” and by that standard plumbing is not a science. More importantly, philosophy then can reasonably help itself to facts and still maintain a degree of independence (in subject matter and methods) from science. If we go with (a), however, some nasty consequences ensue. Besides the fact that we would have to grant the title of scientist to plumbers, it would follow that I am doing “science” every time I pick the subway route that brings me somewhere in Manhattan. After all, I am evaluating hypotheses (the #6 train will let me get to 86th Street at the corner with Lexington) based on empirical evidence (the subway map, the directly observable position of the stations with respect to the Manhattan street grid, and so on). You can see, I hope, that this exercise quickly becomes silly and the word “science” loses meaning. An additional consequence of (a) is that two can play that game, turning the table on people like Krauss: if everything involving empirical evidence counts as science, then everything involving critical reflection counts as philosophy, which means that really we are all philosophers and that philosophy departments ought to get the lion’s share of federal funding and campus resources! Yes, this is a reductio ad absurdum, but it is only slightly more absurd than the scientism defended by Krauss and company. QED. What do you think of George Soros's comment (Atlantic)? Soros discusses Hegel's "Philosophy of History" and Popper's "The Open Society and Its Enemies". "There is a realm where these conditions [for arriving at the truth] prevail: natural science. But in other areas of human endeavor the relationship between statements and facts is less clear-cut. In social and political affairs the participants' perceptions help to determine reality. In these situations facts do not necessarily constitute reliable criteria for judging the truth of statements. There is a two-way connection -- a feedback mechanism -- between thinking and events, which I have called 'reflexivity.' I have used it to develop a theory of history." Perhaps evident in people being selective, Tom D. A fair coverage by Massimo of an obtuse position by Krause in reducing existence to empirical facts. The deductive & hypothetical logic of facts enable their understanding, and Socrates' self-reflection always needs to be invoked when being selective about which facts to value and explore, and in what ways. Krause values facts in a particular way, and should opt for a little self-reflection. Science might be better defined as a body of reliable knowledge rather than a body of reliable facts. Science informs philosophy, but then science also settles philosophy. Would you be convinced by an ontological proof for God? Would you be convinced by an ontological proof for anything? Should you be? Math starts from observations (axioms) which allow for modeling of reality itself. Reality has property 1, property 2, and so on. We then ask, what follows from these properties? This more like refining our understanding of evolution than the magic you proposed in your mathematical Platonism post. If we humans were enormously more intelligent, we might grasp a large swath of math in one observation like we grasp the shape of an apple even though differentiation of matter requires an outstanding intellect (try building an AI that can do such a task). Well, he is forgetting math and logic, where things are even more clear cut than in science! Yes, as far as that goes. But it really is a question of degree, what he calls reflexivity is necessary also in science, considering that "facts" do not uniquely determine theories, and that the latter are constructs of the human mind. I guess you missed the point of my post. No, it doesn't. Once again, that is certainly historically true, but most math done these days has nothing whatsoever to do with modeling physical reality. And yet, mathematicians have no trouble discerning true from false theorems. This is a great post exposing Krauss' philosophical baggage and logical inconsistencies in his anti-philosophical view! I have in the past spent a lot of time defending the work of Harris and Krauss because even if they hate on philosophy, they are pretty good at it! Reading them has had a similar impact on me as, say, reading Ayer's "Language, Truth, and Logic"... Sure he is wrong, but he is wrong in brilliant kind of way. If you can read Krauss' (or Harris') books, and impose a scope/domain for its relevance that the authors often ignore, then they can help inform our philosophical views. Massimo, this is one of the best responses to scientistic dismissals of philosophy I have read in a while. Awesome distinctions, nice logic, calling the bs, and even a reductio ad absurdum... A total pleasure to read! Score! Massimo: ...it would be like saying that evolution explains our ability to solve, say, Fermat’s last theorem because it was adaptive to be able to count a few items in the Pleistocene’s savannah. The latter is likely true, but the former doesn’t follow at all. I agree that it doesn't necessarily follow. For example, we could just insert "and then a miracle happened" somewhere in between. But, of course, naturalists like ourselves would never be satisfied with that, so the question then is: How do we bridge the two ideas? I don't think it can be done (or at least not adequately) without empirical research (e.g. in partnership with the numerical cognition project), but I also don't see that as necessarily a threat to (or territorial battle with) philosophy. Excellent blog post, Massimo. I had already read the column, and like you, couldn't believe that Krauss hadn't learned. 1. For P2, insofar as "answerable" differs from "meaningful", you should keep "answerable" and delete "meaningful". There is a sense in which "how to trisect of an arbitrary angle with…" is a meaningful question (i.e. the question is formulable in intelligible terms) but not answerable. Surely Krauss wouldn't mind if science can't answer meaningful questions like that. And then, "answerable" is ambiguous. There is a sense in which "What should I have for dinner tonight?" has an answer ("Boiled eggs"), and a sense in which it doesn't (there is a decision to make, but nothing to *find out* about). Surely, I think, Krauss wouldn't mind if science can't answer an "answerable" question which merely requires a decision, so long as it can find out about everything there is to find out about. So "answerable" should mean, to coin a word, f-answerable (as opposed to d-answerable, or whatever else). Premise 1: Empirical evidence is the province of Empirical Hypothesis-Testing (and only EHT). Premise 2: All f-answerable questions are by nature empirical. Premise 3: Philosophy [insofar as it is not EHT] does not deal with empirical questions. Conclusion: Therefore, EHT is the only activity that provides f-answerable questions. Corollary: Philosophy [insofar as it is not EHT] is useless [except for making decisions which, in a deep sense, can be neither correct nor incorrect]. The conclusion is still Krauss's. I'd like to know where you disagree with this argument, if you do. No, my statement was much stronger than that. I simply see close to zero explanatory power from evolution for the explanation of complex cultural traits, like the ability to do abstract math. Cultural evolution, for which - memetics notwithstanding - we still lack a good theory. I don't see the numerical cognition project, as interesting as it is, as relevant here. It is one thing to ask, say, how human beings process mathematical reasoning, and another entirely to ask whether Fermat's theorem is true or not. Similarly, say, for neuroscience: it's interesting to discover which parts of the brain are active when you do analytical geometry, but that seems to me an entirely different question from what the answer to the analytical geometrical problems is. I got the impression that for Krauss only answerable questions are meaningful (a la positivist), but you are probably correct that, faced with mathematical examples, he would have to concede the difference. Correct again, but, once more, I don't think Krauss makes any distinction of the sort. To be fair to him, if you read him charitably and in context, he is simply talking about empirical questions (answerable) and metaphysical or ethical ones (unanswerable). Mathematical and logical problems, for starter. No, see above. And there is no such thing as your EHT, it is an artificial construct built precisely to arrive at Krauss' conclusion. I just can't get interested in what begins to look like sophistry (no offense intended, I assure you). Well, evolutionary biologists are prone to employ teleological language. Does this imply that evolution is a teleological process? But we have prehuman, early-development, and cross-cultural evidence of both morality and numeracy (or, if you prefer, pre-morality and pre-numeracy). At the very least, such evidence counts towards an alternative explanation to "and then a miracle happened", no? As for "what the answer to the analytical geometrical problems is", of course evolution (be it biological or cultural) doesn't provide that. The math/logic is what it is, regardless of the origin story behind it (be it naturalistic or supernatural). 1) Whether math and logical problems are f-answerable as opposed to merely d-answerable is, as far as I can tell, still as controversial as ever. Maybe those problems are f-answerable (as for platonists), maybe they are merely d-answerable, or maybe they are something else. I can see why you might not want to go into this question (it's difficult, and it's not the biggest problem with Krauss anyway). But it seems to me more appropriate to just point out that Krauss has no right to assume one of the answers, than to assume another answer yourself. 2) I'm sorry if the EHT thing didn't find you well. Let me try to express myself more clearly: I believe (with Coyne — not sure about Krauss) that there is a more or less unified and distinct set of methodological principles (may not be the best word, but I hope you see what I'm getting at) which you're supposed to abide by whether you're doing science, plumbing, or riding subways, or fixing cars, etc., but not when you're doing philosophy (at least for a large chunk of philosophy). Call this set of methodological principles whatever you like — "X" — and substitute Krauss's talk of science with the talk of X, and you get pretty much the same argument (or at least an argument that purports to make pretty much the same point). If you're with me so far, then whatever is wrong with THAT argument, it's not wrong because of an equivocation on "science". All I was saying — well, you may disagree — is that it would be more charitable, indeed more accurate, to construe Krauss's argument THAT way. And I don't get what you meant by "artificial construct" if that was supposed to be a damning label. Surely all constructs are artificial? (That, after all, is why they are called "constructs".) And what's bad about being built to fit a certain conclusion? If I can build a construct that is illuminating or otherwise useful, and it turns out the construct supports a conclusion I like, then so much the better: this bodes well, not ill, for the conclusion. 'Something raher than nothing' is a good example Krauss's selectivity about what to value and explore, based on his own psychology. The idea that something can be preceded by nothing might also be an example of an empirical fact in his view (I assume so, given its his major field of 'scientific' study). I will need to read more about his theory because what I have read to date doesn't suggest he's got the logic right behind that fact, but being a weighty factual man might suggest to some that he has. Krauss can say psychology is partly an empirical (reductive) fact and partly outside of science, but it would help if he could say how the factual part might be determined. It doesn't count as a useful hypothesis ("that psychology has empirical bases") as he gives no clue how to test it. Krauss professes the value of facts, and throws facts about like sacks of potatoes in my view. He's more declarative than enquiring. As for questions of subjective valuation of boiled aggs compared to objective evaluations, clearly there is work to be done by science to make psychology objectively understandable. Krauss makes the obvious point that any value can be challenged for its abstract nonsense (non-application to reality - such as mathematical platonism) but that does not get you all the way or very far with some values. The reductive groundwork for our personal narratives will be laid, but not by Krauss. Back to the point of science or philosophy as defined by who and on what bases, I wouldn't actually agree with either Krauss or Massimo, and I would unify them as a body of reliable knowledge, as metphysics, physics, chemistry, biology, psychology, and epistemics (methodology). I would obviate much of philosophy and steer Kraussian agents using metaphysics and epistemology. >> science also settles philosophy. > I guess you missed the point of my post. No, it doesn't. If science doesn't also settle philosophy, then this should be an easy question: What in philosophy has been settled by philosophy that isn't some meta-philosophic process (like logical positivism or critical rationalism) and actually says something about reality (to use a more neutral term than nature)? I.e., show me that either (1) philosophy says something not concerned with reality that's meaningful or (2) something that says something about reality that's been proven in such a way that the proof is meaningful. This, you failed to do in your post. >Once again, that is certainly historically true, but most math done these days has nothing whatsoever to do with modeling physical reality. And yet, mathematicians have no trouble discerning true from false theorems. Not "once again." The point is that math is built on observations of reality from which you model reality. Mathematicians have no trouble discerning true from false theorems exactly because of their axioms. Even though math isn't necessarily used to model reality, it is of reality. Again, if an AI like Assimo were programmed with an understanding of science (e.g., programs like Eureqa), it could grasp all of math from the simple observation of reality (even the stuff that has nothing to do with the nature). It could move through arithmetic, algebra, calculus, and so on from a simple observation. And we could even ascribe the same ethereal properties of math to our ability to differentiate matter. E.g., would could intellect apple-ness as a form and as such more perfect than any mere instantiation of an apple, and as such this intellection does not correspond to reality (ring any bells?). An apple is still just a differentiation of matter. Math is still just an observation of reality. which explanation leaves you less confused?" "The point is that math is built on observations of reality from which you model reality. Mathematicians have no trouble discerning true from false theorems exactly because of their axioms. Even though math isn't necessarily used to model reality, it is of reality." This may have been true in the past, Eid, but it is certainly no longer true. The mathematician of today no longer feels constrained by reality in the creation of axioms. To give a simple example, there are three main axioms for real numbers: they are a field (addition and multiplication work), they are totally ordered, and every nonempty subset has a least upper bound that is also a real number. That last axiom in no way corresponds to reality and is literally impossible to prove empirically. Instead, it is there because it makes the real numbers easier to deal with: you can prove far more powerful statements with that axiom than without. The real numbers are an abstract object that have proved useful in modeling objects and behaviors in reality, but which are emphatically not real objects themselves. You are making the classic mistake of confusing the model with reality. Axioms are fine as abstracts, or in application to reality. The word "object" confuses the issue if one believes that the abstract type is anything but a figment of imagination (although self-consistent and so on) - and not existing "out there" on its own. Can anyone make a perfect circle? (I mean perfect, so pi can be empirically measured from it endlessly). Abstracts are not "objects" existing anywhere, but they helps us model reality for as smooth a roll as possible, for example. If you can make it or find it out there, it aint abstract no more. You miss the point. Even purely abstract math is of reality. For example, we can think of "apple-ness" in the Aristotelian pure-abstraction sense, but that's only from having observed apples in the first place. That pure abstraction hinges on nature -- it couldn't be conceived without nature. The same is true for purely abstract math. How do you start math, any kind of math, without the ability to mentally model nature (which evolution provided you through the constraints of nature)? How could a blank-slated mind without any sensory modalities think of the three axioms of real numbers? How would you come to a system of math that doesn't accord with reality, without having first observed reality or been of reality? What I see is Differentiation of matter (apples and oranges)->Meta differentiation of matter (apple-ness and orange-ness), and math (two apples combined with two apples is four apples)-> Meta-math (2+2=4)-> Meta-meta-math (e.g., Godel, Russel, and Whitehead), and no way to skip a step (which implies that they are all fundamentally of nature). I have written already about how philosophy makes progress on this blog (and, indeed, I'm writing a whole book about it). It has to do with progressing in logical space, not empirical ones, because philosophy is more akin to logic and math than to science. So, it depends on what you mean by "reality," logical facts or empirical facts? I have no idea of what that means, and yu have dodged my bullet completely: since most math as practiced today is not at all developed on the basis of empirical data, why doesn't that show that science isn't the only measure of intellectual progress? And you know this how, exactly? And you are equivocating once more on what you mean by "reality," just like Krauss. Oh, sorry. The answer is obviously not, I don't accept it. But that's because of the cogent *philosophical* arguments that have been given against. What set of empirical discoveries would undermine the ontological argument, pray? I have no idea what that is about, so I'll leave it there. > It has to do with progressing in logical space, not empirical ones, because philosophy is more akin to logic and math than to science. So, it depends on what you mean by "reality," logical facts or empirical facts? Forget those questions: utilitarianism is popular in contemporary philosophy, and from that fact you can infer that other ethical theories aren't as well supported. But, wait, supported by what? Logical *and* empirical facts; science informs philosophy. What then are the logical facts that support utilitarianism and yet (1) aren't derived from empirical facts and (2) aren't proved with empirical facts? I think there is no such logical fact in philosophy that isn't either derived from empirical facts or meaningfully proved with empirical facts, and consequently science settles philosophy. > since most math as practiced today is not at all developed on the basis of empirical data, why doesn't that show that science isn't the only measure of intellectual progress? I don't think science is the only measure of intellectual progress. I think science settles philosophy. I think math and logic hinges on empirical knowledge regardless of how abstract it gets (see my comment to mark). Machine learning, and more specifically automation of science in machine learning (e.g., programs like eureqa). You feed such programs observations and they output math that explains those observations. E.g., eureqa derived the laws of motion from the swinging of a pendulum. A more intelligent program should be able to ask more complicated questions than "what best explains this data" like "is it correct that I am able to explain this data with my current methodologies" and "what else can be derived from this explanation." And by reality I mean that which is more ontologically basic than nature. >But that's because of the cogent *philosophical* arguments that have been given against. I think you seriously overestimate your understanding of the *various* cosmological arguments (see this for the tip of the iceberg). >What set of empirical discoveries would undermine the ontological argument, pray? Note that I wasn't referring to *the* ontological argument, but to an ontological proof of God. I.e., ontological in that it asserts the existence of God simpliciter. But to answer your question, I'm not saying that science should be able to undermine the doings of philosophy, but that philosophy is settled by science. If science undermines philosophy, it's at the meta level at which science settles philosophy and not at the object level where philosophy does philosophy. It doesn't surprise me in the least that you don't see the difference, so let me spell it out for you: evolutionary biologists clearly use teleological language as a shorthand for what they study. This is widely understood and repeatedly acknowledged by practitioners. Psychologists, cognitive scientists, philosophers, and so on, on the other hand, simply couldn't do without teleological talk - and before you go there I'll preempt you: yes, pace what Patricia Churchland and Dan Dennett say in that regard (both of whom I know and admire, but with whom I sometimes disagree). Evolution assumes a total cause to which entities are evolving to "functions that are selected by the environment in facilitating their survival" -thus mutating flat legs would be environmentally non functional unless swept into a stream to swim in that part of the environment. There is no single final cause in Selection of one entity (humans, for example) for now, but it is teleology as a total (unknown) cause. The fact that finality and knowability does not apply to Darwinism does not remove it from being teleology, and arguably total teleology if humans are eventually shown to be a final entity and knowable as such (but not with the likes of current academics on the job). But "greedy" reductionistic materialists would argue that what you are calling "final causation" actually reduces to efficient causation. That being said, you appear to be proposing final causation ("free will") as an emergent property that only human beings exercise. What is 'evidence'? How does 'evidence' support hypotheses? What, exactly, do we mean by 'evidence supports hypotheses'? Which types of inferences are justified from a given data set? What type of deductive logic should we employ in our scientific practices? Should we revise our logics on the basis of empirical findings? What is probability? Long run frequencies? Subjective degrees of belief? Propensities? What constitutes an acceptable scientific explanation? How should we interpret probabilistic inferences? What epistemic merit does simplicity have? What are causes? What are physical laws? What role do subjunctive conditionals play in the formulation of physical laws? How are subjunctive conditionals to be understood? What are the appropriate semantics we should adopt for counterfactual conditionals? In fact, what are hypotheses? Linguistic utterances which express propositions? What are propositions? When (if ever) are we justified in saying some proposition is true? What is truth insofar as it relates to scientific theories? I could go on with the questions but I hope you should see now that in light of these questions the argument with P1 - P3 as the premises and the conclusion which you fancy follows is rubbish. You can go on with your questions but insofar as they're not answerable by science, they're not answerable, period — this is something Krauss could say (I'm not sure if I would, but I wasn't making my own case anyway), and his position would be internally coherent. It even begins to sound a bit like Carnap (rather than rubbish) minus the verification theory of meaning. A little radical — no denying that — but far from indefensible. Bottom line: do not assume a question is real or answerable just because it causes a state of wondering in you. You miss my point. I do not insist that the above questions are 'real' (curious term this since they are certainly 'real' questions, even if they might resist, even in principle, a definitive answer) on the basis that they cause 'a state of wondering' in me (to be sure, some of the questions I outline don't cause me to wonder). My point is this: Science, insofar as it is conceived by Krauss, does not and in fact cannot address many / most / all of the questions I listed (and more), which is problematic for Krauss because they are of fundamental importance to the scientific view of the world. Think of matters in a simple way: Science, broadly construed, itself depends upon, e.g., standards of evidence, inferential techniques, and primitive concepts such as 'causation', 'identity', and 'truth', which are not defined or clarified via observation and experimentation. If Krauss or anyone else thinks that they are, and they must be if they are to fall under the purview of science, I would very much like to hear for it. Maybe it does not yet, but let me sketch a way in which it can. Take the first two questions on your list: "What is 'evidence'? How does 'evidence' support hypotheses?" Well, pick any hypothesis — say "smoking causes lung cancer". Science tells you what the evidence is: animal experiments, epidemiological data, etc. Science also tells you how *that* body of evidence supports *that* hypothesis (it certainly does, if not very explicitly; otherwise it would be inexplicable why anyone bothers reading science papers). Obviously science can in principle do this for every hypothesis, and let's suppose this done. Now you come along and ask, but what is EVIDENCE? The answer is: that which all the particular bodies of evidence have in common, *if* they have anything at all in common. Go find out. And the way to find out is by forming hypotheses and testing them against the data, the data — surely empirical — being science itself; specifically, what science says about particular hypotheses and their supporting evidence. If this way of doing things could not address your questions, then I doubt that anything could. Moreover, I don't see how, if anything is left unanswered by this way of doing things, that thing could be of "fundamental importance to our scientific world view" as you asserted. Krauss, I imagine, is a little too unsophisticated for that. But even blind people are sometimes onto something, and I think Krauss is onto something (maybe for the wrong reason, expressed in the wrong way, sometimes toward the wrong people — I can agree with all of that). Science also tells you how *that* body of evidence supports *that* hypothesis (it certainly does, if not very explicitly; otherwise it would be inexplicable why anyone bothers reading science papers). If you mean simply that research papers have paragraphs wherein it reads 'Our evidence for x' or 'The evidence for x' (or some other similar phrase), then you are equivocating: Questions concerning the logical nature of 'evidence' to propositions or hypotheses is not a material issue -- it is a *logical* issue. In other words, "science" (whatever you mean by that utterance) employs various forms of logical inference in order to deduce consequences, test, and confirm in all the appropriate probabilistic ways. Now whether and to what extent those forms of inference are valid is not determinable (solely by or even in large part by) "science". As for the rest of your "reply": Oy vey. "if an AI like Assimo were programmed with an understanding of science (e.g., programs like Eureqa), it could grasp all of math from the simple observation of reality (even the stuff that has nothing to do with the nature)." A better view of first & final causes is that first cause drives from orgins, and final cause draws to a destination. If you can drive all the way through, you would be an effective reductionist (constructing from basic particle capacities all the way through to humans, for example). If you can draw that state also to its destination, it is only by having a context beyond the drive that also determines structures, namely Selection as to what is successful. The first cause as accumulating particle structures would create an envelope for itself for it to evolve in the Darwinian sense, tested at every moment by the environment to select functions within the environment (the environmental envelope draws structure according to its dictates). The drive of particle evolution is to construct an envelope to draw as a final filter to eliminate driven duds - essential & inevitable. The problem with academics is that they waffle on about this distinction and that, whilst constrained by absolute principles like those stated by me above. Wiki has a ref under Teleology in its subheading for Biology, with opposing views (the pro biol teleo view weakly making the point, and the anti being obtuse). The drive through to an environment is required for a continuing drive to humans at a biological level under an unavoidable teleological envelope. Anyone interested is valuable knowledge and how to deal with it only needs to read my book. Nature gives itself away by the structure of the environment (knowable under the hypotheses in my book), and by a corresponding structure to the human anatomy itself as driven in construction by DNA using the chemcial capacities of that environment. I vote to sweep away a lot of academia and start again with people who have genuine talent. I should add the environmental context draws rules down upon a human to constrain bevavior at all times, including the 'exercise' of any free will - but we try to express it nonetheless. A human is both continually driven in function while continually being drawn by an environment in function, so a 'capacity' for free will can be driven even though constrained - thus our abundant abstracts to reshape the environment in reality. It would be a driven neuro-physical process for balanced choices challenged at every turn by real constraints. A capacity that seeks to exercise itself. What other than human (and some other animal) agency can we attribute teleology to? What else can be shown to have goals? Fairies perhaps? Whatever. I've made it abundantly clear on this blog that I am not a greedy reductionist. I am neutral about both free will and emergent properties. I like Ladyman and Ross' characterization of the latter, and I think people are far too quick to talk about "illusions." That said, I don't think we have a good scientific or philosophical account of either. Yes, but hopefully you didn't take me to propose a miracle argument, yes? As I said in the post, there is a distinction between explaining the origin of a behavioral trait X (evolution *may* help), telling us how X works (cognitive science), and reflecting on the meaning and value of X and what it can do for us (philosophy). Massimo: Correct, I did not mean to ascribe a supernaturalist view to you. But, as you know, we are in mixed company, so I wanted to make it clear that naturalists are not completely in the dark with respect to that first project (i.e. "explaining the origin of a behavioral trait X") and that, without the "raw materials" of biological evolution, the march of cultural evolution that eventually led to Fermat's last theorem and its solution would almost certainly have been a nonstarter. BTW, now that I'm finally reading your book, Nonsense on Stilts (Kindle edition), I would guess from your reference to the work of De Waal and Wilson/Sober on the evolutionary roots of morality (albeit, only in one of the end notes), I'm not surprised that we are on the same page here. "That said, I don't think we have a good scientific or philosophical account of either." Nor is one needed since "free-will" is a paradigm example of a self-contradictory proposition. Science as it is practiced today is only a couple hundred years old, whereas philosophy is thousands of years old. So I do have to wonder if the questions it is asking are in fact answerable at all, and if they aren't is there some other point in asking them? Personally I still think viewing philosophy as a game or a sport and not as a progressive field is the most apt description. Philosopher A says X, Philosopher B say Y (in their own complicated jargon of course) and there is no ultimate arbiter (the role reality plays with science) to say which is correct. Their dueling books sit side by side on the shelves at the bookstore. The intellectual fashions of the day rule until the next day when they change and I suspect that is the way they like it. After all what would all the philosophers do if those deep philosophical questions DID get answered? Go back to doing science maybe? you seem to hold a very cartoonish view of both philosophy and science. To begin with, fads and perennially unresolved issues are easy to find in science too (physics: different interpretations of quantum mechanics, going on now for more than a century; evolutionary biology: never ending discussions about species concepts and speciation mechanisms; ecology: ups and down of the purported relevance of inter-specific competition, or the ever elusive conceptualization of "niche"). Second, philosophy demonstrably makes progress, if that is understood as a refinement of ideas in logical space. Modern day utilitarians, for instance, simply cannot go back to Bentham and Mill, because their critics have pointed out a number of flaws in the early ideas, which have led to elaborations and modifications of utilitarianism. Same for the realism-antirealism debate in philosophy of science. And of course there is logic (once again, a branch of philosophy), which not only has made spectacular progress during the 20th century, but has actually contributed to mathematics and even science. Relax. I didn't insinuate that you were a greedy reductionist. I simply stated that the reductionist would counter your position by arguing that what you call "final causation" (free will) ultimately boils down to efficient causation, that final causation is nothing more than efficient causation in another guise. I have no problem with any of Aristotle's four causes, as far as they go. However, they don't have much traction with the sort of problems that concern 21st century science and philosophy, that I can see. Why? Because my answers didn't fit with your cartoonish view of philosophy? I'm sorry, I was under the impression you actually read my posts. My mistake. Yes, of course, that's precisely what I have been arguing. But notice that *informing* isn't the same as *determining*. Would you say the same of math and logic? Yes, you would. And boy would you be spectacularly wrong. I didn't ask you for a lesson in AI 101. I asked you to back up your grand claims about what can be accomplished with those methods. Empirically, please. That, to me, makes precisely no sense at all. There is no such thing, other than one of the various versions of the ontological argument. Massimo Pigliucci:"Second, philosophy demonstrably makes progress, if that is understood as a refinement of ideas in logical space." I must say, that given the amount of time I've spent reading this blog, you've had to point this out far too many times, such that I am seriously starting to wonder what people are thinking when they blithely assume that asking philosophical questions is a completely fruitless enterprise. I mean, isn't it patently obvious that intellectual progress is a little bit more expansive an idea than simply solving particular scientific problems? (Not that that isn't an integral and difficult part, mind you. )Isn't intellectual progress about refining our UNDERSTANDING of the world, wherever those refinements take place? Be they scientific, mathematical, logical, philosophical or historica etc... Under what impoverished conception of progress does a dialectical process of argument and counterargument, and the refinement of ideas and propositions thereof not count as progress? Even if one doesn’t settle on THE ANSWER, how is coming to appreciate the complexity of a question (often a task in and of itself), or a recognition of one’s particular assumptions (always difficult to do), or the implausibility of one’s answer to a particular question due to criticism, or the making of pertinent distinctions of concepts/methodologies etc, not count as progress? Admittedly, none of these developments (when they occur)are actual ANSWERS to any particular age old question, but where did the idea that the measure of progress is ONLY in the number of particular questions solved emerge? Isn’t the development of the scientific method and frame of mind itself a sign of progress? Science isn’t an answer to a particular factual question, but I doubt anyone would denigrate its development as not consisting of progress of any sort, right? Surely science itself is an example of a refinement of our UNDERSTANDING, in this case of how to actually go about searching for answers to well defined empirical questions? Am I alone in this? Or does it seem to anyone else that most attacks on philosophy seem to come from people with strangely narrow and rarefied notions of what the goal of intellectual endeavour is? The goal of intellectual endeavor is too often obfuscated by circular or obtuse argument relying on definitions that are controversial, just controversy based on controversy. The break through is by discovery, which is more of a scientific enterprise although guided somewhat by metaphysics & epistemology (the worthwhile philosophies). @JollRancher - One could chalk up this philosophy vs hard science tussle to meaningless fashion. Philosophy probably always needed to prove its value a bit more than other disciplines (except maybe in France, home-town to some pretty cool philosophy). So when questions in science turn philosophical in nature, this is a combustible turn as the scientist may feel encroachment. Even with Higgs, Mars, and slow but steady progress w.r.t. quantum information, scientists have not had a discovery like Bell's theorem in a very long time. So some night find it easy to pick on philosophers who talk but do not walk. Or....one can look at the last 100-125 years. Can you make the case that we aren't smack in the middle of one mother of a Renaissance? Don't think you can. With these blogs functioning as the salons of modern times, we will work things out. Philosophers are necessarily being placed in the driver's seat these days in order to make sense of what is going on in the 'real' cough cough world. The relevance is the relationship between the "why" and the "how," the "final cause" and the "efficient cause," the "nonphysical" and the "physical." I disagree. "Digital physics" (physics described in terms of "in-FORM-ation") is reminiscent of Aristotle's "hylomorphism" (matter/form). To progress, I wouldn't worry too much about Aristotle's abstractions, as there are simpler and more scientific ways of explaining "cause". But as far as "the mind" goes, it might be best defined as the experience of awareness itself, particularly by thought but also by thought in attendances to all feelings of stimulation (sight, touch, sound etc - thinking about them). In my mind, out of my mind, would mean "as experienced by me as actual thought attending feelings" and in saying that there would be physical processes responsible for that experience. Although thought appears as an ethereal experience as "mind" (even though directly attending real vision, hearing etc), it is an experience of the subject created by processes. The key process is referral from within the brain. Referral occurs when neuron firings at sites of anatomy (eyes, ears, hand etc) are followed 100 + milliseconds later by firings in the brain to create the experience of the stimulation. The firings across the brain are experienced "as if" at the site - as if "referred" to the site without any signal being sent back to say "now you can feel, see hear, etc". Issues in understanding the experience of mind can be clarified by that context of process behind it, in which thoughts (and all feelings of sites) are facilitated by signal completion and complex signal integration in the brain. It is ethereal (where does a thought exist in space?) from that completion whilst also being automatically experienced at real sites (my eye, ear, hand etc) from that completion. Much reading required to understand this issue at a technical level. On digitization, I take a simple view of it as a ultility for human organization (as physcial sequential alignments linked to a regime in a computer for human purposes). As DNA likewise, although for natural purposes linked to a regime of chemical bonding by DNA within an environment. Its' utility in a wider context would speak for its reality, and outside a regime, in itself as digital sequences, it is just aligments of physical things. It becomes information from its link to a regime, which is the sole purpose for its existence (as a solid but changeable base level to the regime operating around it). On the bold assumption anyone is interested in my ideas, the drive I wrote about earlier (relevant to this topic because Krauss speaks loudly of reductionism all the way through to human psychology without anything substantive to offer at all, whatsoever - blowhard) is purely thermodynamic. Its two stages are the Big Bang (explosive release of energy / heat) and the Environment (intricate release of energy / heat in bonding of compounds into anatomies). The universe drives to economy of structure by the release of heat to drive the accumulation. It favors economy, evident even in plain english posts using examples, such as mine. Replace the words "my ideas" with "ideas expressed in plain english with real examples". Thank you Mr. Pigliucci! A very cogent argument and a delightful read. "Premise 2: All meaningful / answerable questions are by nature empirical." You are very right to point out that this premise is itself a philosophical position and I think this deflates the entire argument against philosophy. Perhaps for a slightly more adversarial conversation, you could get Krauss on the podcast? Software is, obviously, not physical in the same sense as the hardware in which it runs onto. As should be clear by now, my metaphysics is a bit more populated than Quine's famous "desert." Still, your question makes a category mistake, in my opinion: "minding" is what the brain does just like "breathing" is what lungs do. Is breathing physical in your sense? If yes, then so is minding, but "physical" usually refers to nouns, not verbs. Yes, and the fact you just can't stop repeating that is a result of your luck of free will. Oh well. I'm really not sure I need to buy into that distinction. Math problems have (largely) nothing to do with empirical evidence, so their existence (together with that of logical problems) defeats Krauss' contention. That's all I need. Yes, I get it, but they are still using the word "science" ambiguously, and they can't have it both ways, on penalty of the absurdities I point out at the end of the post. I understand what they are saying, I am suggesting that it is obviously self-serving, historically incorrect and conceptually muddled. Yes, some more so than others. If you read my comment in context it should be clear what I meant. Such is the nature of debating. Your metaphysics is also populated with "informational objects" (informational physics is a variant of "structural realism.") And the point is that the "information" in the "information processing system" is immaterial. Silly me, I thought this was about mutual intellectual growth, not scoring points. Depending on how you define information, itself not an easy task. At any rate, yes I like my ontology a bit richer than Quine's desert, as I mentioned. Ladyman and Ross calls it "rainforest" ontology (i.e., a bit more lush than a desert). Tipler is a hack when it comes to metaphysics, with his Omega point rescuing Christianity and related nonsense. I doubt it about intellectual growth more than scoring points. I would say the general trend is about equal on this blog. Academic philosophy itself is a "gotcha" game, played according to the rules of the "peer-review" process. "Does information create the cosmos? (Part 1) "
"Does information create the cosmos? (Part 2)"
(source: interview between Seth Lloyd and Robert Lawrence Kuhn - host of PBS's "Closer to Truth" program). Tipler's argument for informational physics is still valid, despite his dabblings into science fiction and space-age theology. Massimo: "Once again, that is certainly historically true, but most math done these days has nothing whatsoever to do with modeling physical reality." You have made that statement numerous times, Massimo, but I've never seen you give an example of a branch of math that has "nothing whatsoever to do with modeling physical reality." Which branch, exactly, are you talking about? Massimo, I accept that science is only descriptive, not prescriptive, and it can provide only instrumental oughts (which I expect we agree on, but what Lawrence Krauss thinks may be another story). However, based on your posts concerning Lawrence Krauss, I expect that you will not agree with me that understanding morality as an evolutionary adaptation as part of a “science of morality” is critically important to moral philosophy’s cultural utility. With your background, you are doubtless well aware of arguments that morality is a biological and cultural evolutionary adaptation for increasing the benefits of altruistic cooperation in groups. The selection force for our biology that motivates altruistic cooperation is obviously only reproductive fitness. The selection forces for enforced cultural norms (moral standards) that advocate altruistic cooperation are whatever benefits of altruistic cooperation that people find attractive which may not include reproductive fitness. Herb Gintis has shown, at least to my satisfaction, that maintenance of altruistic cooperation in groups requires punishment of agents who exploit altruism. That is, punishment of exploiters is the key to altruistic cooperation strategies that solve the universal cooperation-exploitation dilemma caused by exploitation of altruism often being a winning strategy. Biological evolution has implemented these altruistic cooperation strategies in the form of 1) empathy, loyalty, and other emotions, such as the experience of durable well-being, that motivate or reward altruistic cooperation and 2) our emotion indignation that motivates the idea that other people who violate moral norms ought to be punished (external punishment) and shame and guilt when we act contrary to our conscience (internal punishment). Cultural evolution has implemented these altruistic cooperation strategies by 1) cultural norms that advocate altruism such as “Do to others as you would have them do to you”, accept the rights of all people to “life, liberty, and pursuit of happiness”, and accept the burdens of “Do not steal, lie in court, or murder” even when you really want to do these things, and 2) enforcement by social disapproval and reputation harm and, as a backup to that, rule of law. If you desire to maximize the experience of durable well-being, then based on the science of morality, your group ought (instrumental) to select and enforce norms (moral standards) that advocate the most effective altruistic cooperation strategies for achieving durable well-being. I could not resist asking because your areas of expertise make you unusually qualified to comment on this science of morality’s potentially critical importance to moral philosophy’s cultural utility. Also, I would like to directly link to your sensible discussion of the logical errors in Krauss’s position. What would that direct link be? No, selection acts on fitness, which includes reproductive fitness, as the entity must survive to reproduce by more means than altruistic nurturing, by dealing with its entire surrounds (environment). Altruistic nurturing might be advantageous and thus selected along with everything about the entity (its gender, its species behavior, even its inheritance mechanisms themselves). Selection determines all functions (including all behavior) by saying yes or no to them. Consequently, selection operating from the surrounds of an entity (including population or species behavior) provides whatever rules it might provide, including social rules. If humans drive to group morality, it is because it is allowed by selection whether or not it is rational by your definition. Rationality, which you equate to being a science of morality, is no science at all. At best it is Epistemology, or no more than an ongoing exercise in evauating (and using) secure knowledge based on logic and observation. The science would exist in defining the neuro-physical bases for behavior via psychology securely connected to biology, securely connected to chemistry, securely connected to physics. I don't mind your narrative morality, as long as it is understood as no more than a rational construct entirely open to debate as to its specifics and their continuing usefulness. Don't confuse it with science. Your guess was correct. I think that an evolutionary understanding of the origins of morality (to the extent that it is possible, given the difficulty of hypothesis testing for that sort of human trait) is intellectually pleasing, but of next to know help in modern moral decision making. It would be like expecting that an evolutionary account of our ability to do arithmetics will be helpful in understanding Fermat's theorem. That is precisely the sort of reasoning I reject. You have outlined the (possible) evolutionary logic there. But to simply assume that that translates into the right thing to do in modern society is a straight derivation of ought from is, thus making a leap of logic. As you yourself point out, people may want to maximize other things (or not go for maximization at all, perhaps balancing different criteria, such as respect for certain rights). That's why anything written by Michael Sandel is a much better example of useful moral reasoning than anything any evolutionary psychologist will ever come up with. Thanks, the full link should appear at the top of your browser. Thanks for the lesson in Academics 101. Perhaps you didn't notice that this is a blog, not a technical journal, and that you are likely not a "peer" (unless you are a professional philosopher, which you may be, for all I know). I think even Wikipedia will readily show you that there are many competing conceptualizations of "information." What I have noticed is that you yourself are guilty of the very same thing you are accusing me - namely, seeking to identify the flaws and inconsistencies in the views and beliefs of others. Physicalism itself holds that information (as it relates to physics) is non-material (i.e. it is not mass/energy). "The ontology of physicalism ultimately includes whatever is described by physics — not just matter but energy, space, time, physical forces, structure, physical processes, INFORMATION, state, etc." So it has become a debate about information. One can see various definitions, such as including it within the truths of physics, but that would not define it, merely give it a context. I read another definition earlier about 'giving form to', which will do for me as it captures the idea of something basic required to understand something. Information would be 'about' something, and not a thing in itself. It is constituted by terms that describe a thing. It would include spatial, temporal, interactive, mass-energy 'forms' of something, and so on. In the absence of things, it is abstract, and in politics it is sometimes an outright lie. It never exists as a thing in itself (except maybe in the imaginings of mathematical platonism). In a digitized sequence in the absence of utiliy as information about things, it is nothing but a string of things. How could you interpret a Wikipedia article on phsyicalism, i.e. that there are only PHYSICAL things, that specifically includes information as one of those things, to say that information is immaterial? Lloyd never sees his hypothesis about the universe being a qauntum computer as anything but natural. He certainly doesn't see it as teleological, explicitly saying it doesn't have any intent. So I don't see how Lloyd's hypothesis helps you. Everything that falls under non applied math, from set theory to topology to the kind of work at the border between logic and math that eventually led to computer science. The point is that much of this was developed independently of applications and certainly without regard to empirical evidence and only *later* (in some cases) mathematicians found surprising ways to apply their notions to physical problems. It's gratifying to know that abstractions preceding reality are eventually useful to accurately describe reality, but it doesn't remove them from being mere abstractions, imaginings, unrealities and so on (even though self consistent and constructed from bits of logic & number usefully applied elsewhere). Because information (in the context of physics) does not reduce to "mass/energy." Therefore, it cannot be defined as materialistic. "Now that we are aware of the computational nature of the unvierse as a whole, it is tempting to ascribe to it a kind of cosmic intelligence...There is nothing wrong with thinking of the universe itself as some kind of gigantic intelligent organism, any more than it is to think of the Earth itself as a single living being (an idea known as the "Gaia hypothesis")." On information, I agree with David Span's fairly basic interpretation of 'Physical' as being, by definition, something material. Information should be seen in that context as nothing more than a type of description of physicals, as information 'about' physicals. Information can be defined broadly as giving form to something, which means explaining it in language that identifies its properties. Thus the quantity of mass-energy of something is information about it. Information does not exist in some immaterial realm any more than mathematical platonism. In itself, 'information' would merely be a word we use to bundle descriptions of any properties, conveyed in words or math. It can be reduced to digitization as DNA or computers, but those are merely sequences of physical things as a base level for utility attached to a regime (in natural selection, or in a computer.) In itself digitization is nothing but a sequence of physical things and loses it value entirely as information, beacuse information is entirely about something else rather than being a thing in itself. You are pushing a platonic line in saying information exists in a immaterial realm, whether or not you agree with that idea or are merely pushing it for contradication points against Massimo. A 'bit', for example, would be a formalism used to bundle information about physicals. It relates to physicals (presumably accurately) to describe properties (perhaps at a basic level if used universally for all physicals). It doesn't exist except in application, or as an abstract of the mind without application to reality. A common theme or background to your comments on this blogspot is supernatural intelligence and supernatural design (teleology) – or should I just say ‘god’. So no, I did not present a straw man at all. And I was referring to teleology, which you did not respond to. In “Life. What a Concept!”, a discussion on the Edge website, Lloyd says “I'm not imputing any kind of actual intent to the universe as a whole." According to Lloyd's model, physical systems register information by existing. The laws of physics determine the amount of information that a physical system can register. And the univers is a physical system. How is information not mass/energy in this context? You might also want to read an article on this blogspot from a couple of years ago - "What About Information?" - in which informatin is presented as mass/energy. Ladyman might reduce to an abstraction as mathematical platonism in the final paragraph of the Blog Essay about him a month or so ago. But the best view is that he's just interested in the various properties of particles & fields that make patterns (spatial, temporal etc) and their mathematical forms. His removal of "everything" in "everything must go" would be a shift in emphasis to the forms of things, and it would be impossible to banish the things from existence. Not particularly useful in my view, but it at least recognizes that physicals are known by their forms. The ever-receding "why"...slinking steadily away from animism, theocratic religiosity, and now into the blogs and articles of philosophers doing their best impressions of Atlas. The "full truth" would require no such "why" anymore than it would if the person had died in a car accident. Indeed, this is not apparent to many people to this day who ask "why" when a loved one dies unexpectedly. It's fundamentally little different from the "why" early peoples asked about bolts of lightning or gusty winds. That doesn't mean that "why" isn't necessarily worth asking, but "why" is ultimately as illusory as the "self." In the sense that an illusion is a "thing," then we can play make-believe with a consistent set of make-believe rules and arrive at conclusions ("truths") consistent with those rules. Our brains evolved to do just that. Human life as we know it would be difficult without the "why" (as it would be without the "self"). Your shockingly ill-conceived statements about mathematics would put it into the same category, but you don't seem to grasp that math is abstraction of empirical quantification. Nobody born and raised as a brain floating in a vat would be capable of generating mathematical abstractions if they had no capacity for empirical investigation.